Ever wished you could capture stunning images of the night sky? Thought you needed complicated and expensive equipment? 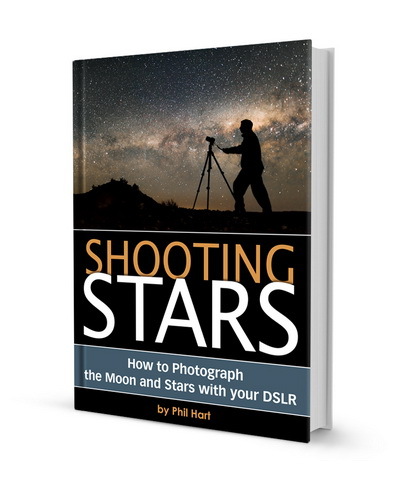 Shooting Stars will show you how to shoot your own stunning images of the moon and the stars with just your digital SLR and a tripod. Shooting Stars: How to Photograph the Moon and Stars with your DSLR.